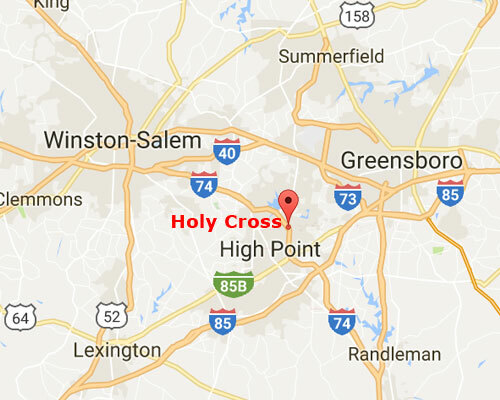 Our church is centrally located in the Triad, close to High Point, an easy drive from Greensboro and Winston-Salem. Many of us live in Greensboro, Winston-Salem, Kernersville, and all across the Triad. 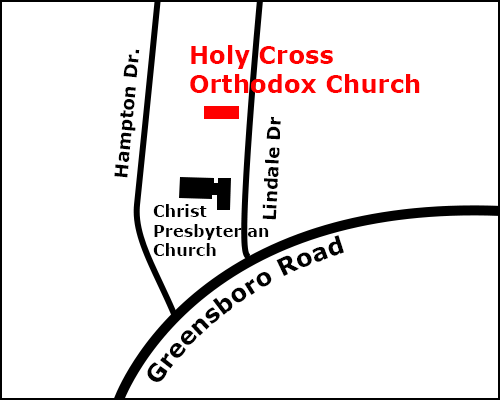 Our church is behind Christ Presbyterian, on Lindale Drive. Map of the approximate physical address of our church. From Winston-Salem and Kernersville: Take 311 South past 68/Eastchester to exit 69. Exit right and up the hill to Greensboro Rd. Turn left and go several blocks. Christ Presbyterian Church will be on the left. Go past the church and turn left on Lindale. Our building is behind the church; park on either side of Lindale. From Thomasville and southern High Point: Take National Highway which becomes 68/Westchester. Turn right on Lexington Ave. which becomes Greensboro Rd. Go past Christ Presbyterian and follow same directions as above. From the western Greensboro (airport area): Take 68 South to 311 South. Turn left onto 311, go to exit 69 and follow Winston directions above. From the Guilford College area: Go south on Guilford College Rd., then go right/west on Wendover Ave. to High Point. Turn left on Penny Rd. and go south till it dead ends into Greensboro Rd. Turn right and go several blocks. Christ Church will be on the right. Turn right just before the church onto Lindale and follow directions above. From other parts of Greensboro: Take Wendover west and follow same directions as above.